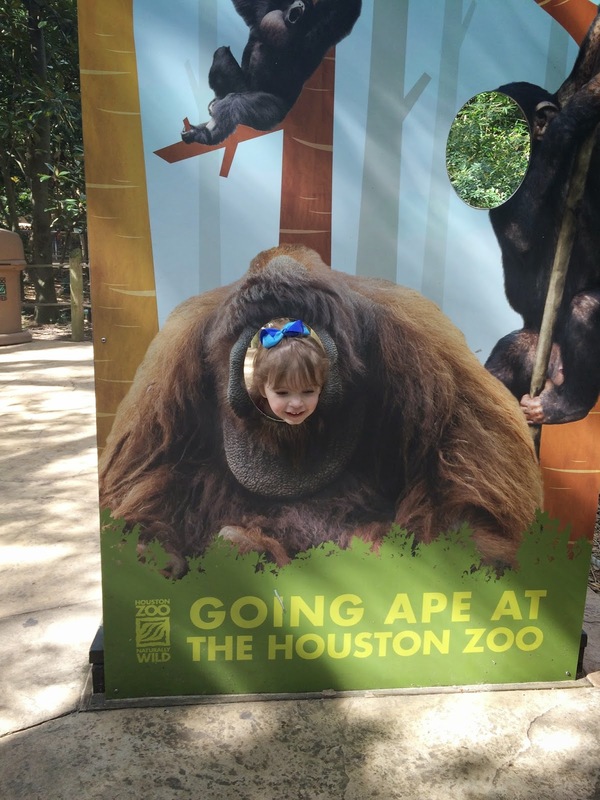 On Thursday we took advantage of the awesome weather in Houston and I braved the highway to go to the Zoo (or as Bekah says the Ba-Zoo). Let me tell you that this was kind of a big deal. First I took the two toddlers alone and did I say that I got on the highway? I really have pretty much stuck to my bubble (church, HEB, target) since we've lived here. I prepared for this trip (in my mind) for most of the week. I needed to make sure we didn't have any meltdowns, that we brought our own food. and that we were prepared for potty accidents. Also since I am on this Paleo journey, I needed to make sure I had the correct food and water. It all sounds really silly now that I am typing this, but I was really excited to conquer the zoo and driving to the zoo alone. I mean I have to get on about four different highways many times getting on one then having to cross four lanes of traffic (Houston traffic mind you) to get to an exit for another. I'm happy to say we made it safely. We had a few wrong lane issues which led us heading in the wrong direction, but that was all easily fixed. 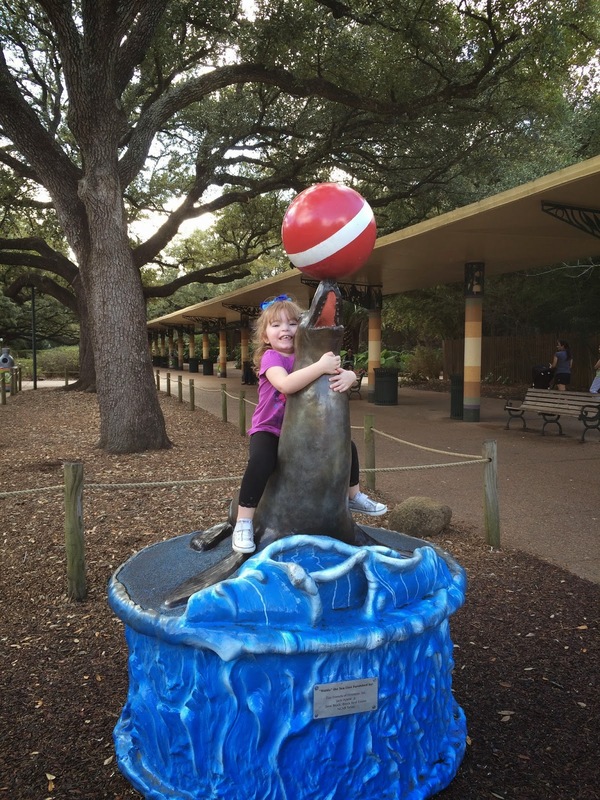 The girl had a complete blast! I think next time we can get by with taking the wagon. Bekah proved that she could walk most of the way, Morgan on the other hand still need to be contained sometimes. Both of the girls just cracked up with Bekah stuck her head through the sign. It was the funniest things ever! 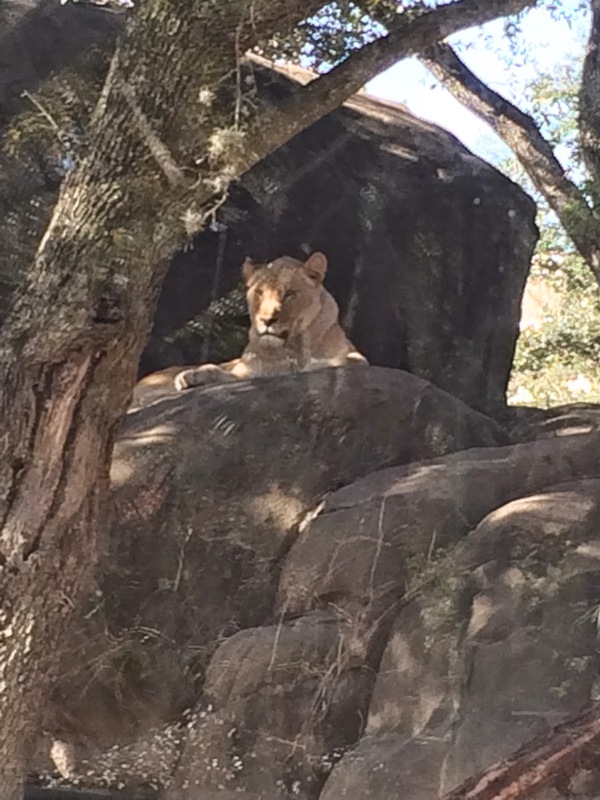 I had to face another fear while at the zoo - the big cats. This is a new issue that I developed (I sound crazy huh?) about six months ago. I accidentally (meaning I didn't know the outcome) watched a video of a guy in another country who fell into a big cat enclosure. Did you see it? Oh man, don't watch it! 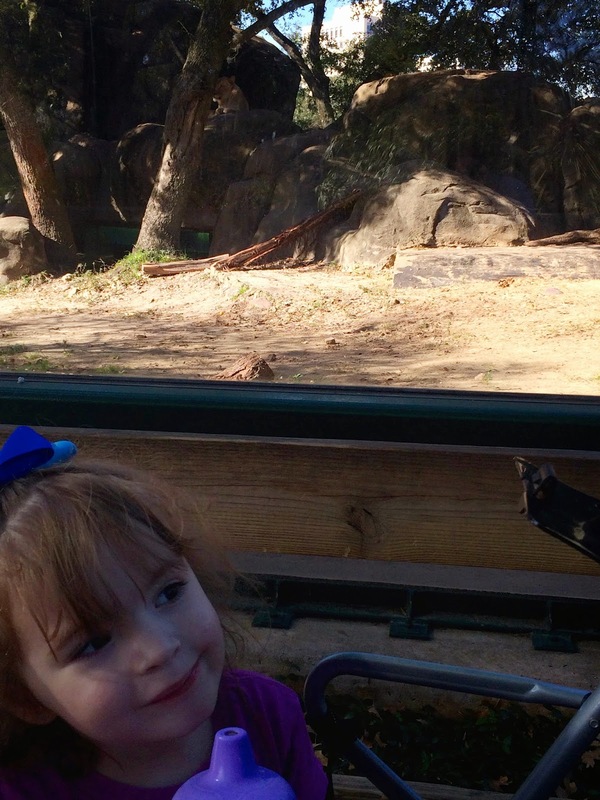 That followed by a three year old falling into an enclosure in Arkansas (at least I think that was the state). Anyway, it has been the subject of many a nightmare. I shared this with Bekah before our trip just incase Mommy couldn't handle the cat area and we had to leave, but I am happy to say that the big cat area was very well contained. We were pretty much on the same ground level as them (so no falling in) and there was no way those big kitties where getting us. I snapped a picture so Shelby could see that I did indeed take the sisters to the Big Cat area. Bekah kept saying "Oh mom you are scared right?" to which I said "no, they are safe in their house and we are safe out here." She looks safe, huh? Chills, I just keep replaying that video in my head. Anyway, on to nicer animals. 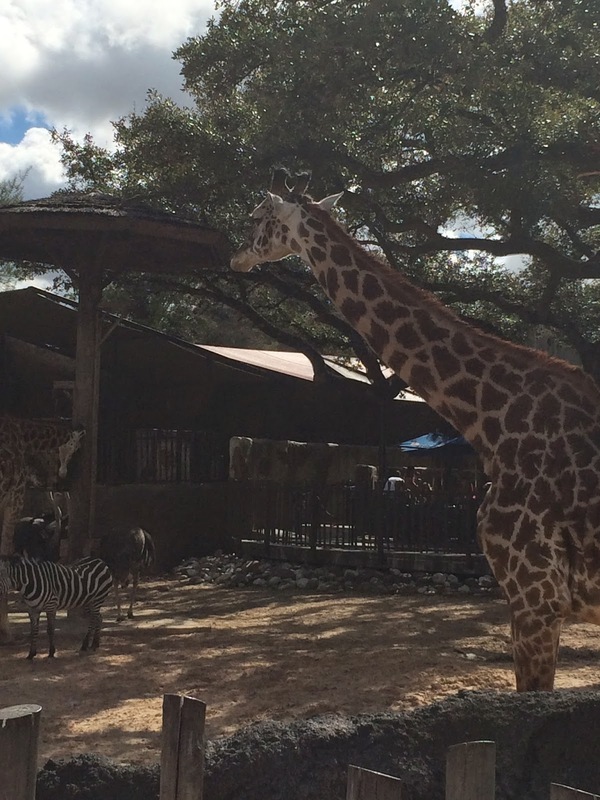 The giraffes were amazing! There were so many of them and they were supper friendly. 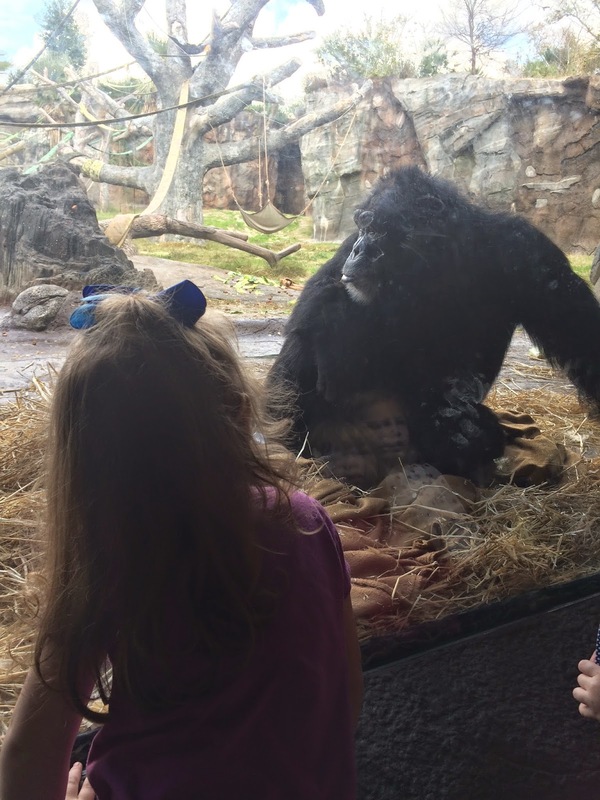 We also really like the zoo and since we received memberships for Christmas we plan to visit as much as possible before it gets really hot.